Spring is in the air, and yarn still is never leaving my hooks. As the season warm up, I still find those chilly days where a little extra warmth is so, so wonderful. That chill breeze as you watch the cherry blossom petals dance in the air down to the ground… such a perfect moment in spring for me. Today I want you to meet Serendipity! 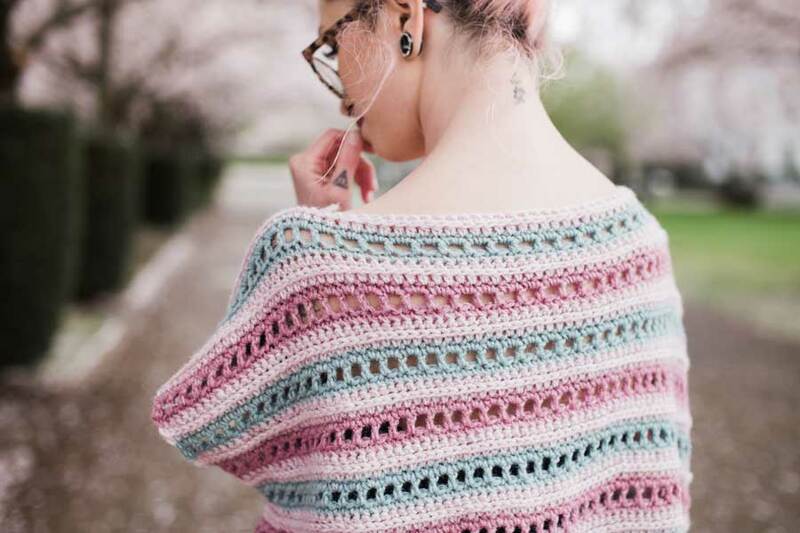 This lovely poncho is worked in three colors to encourage interest and uses different stitch sequences to allow for beautiful texture. The oversized fit is great for a casual outfit that can also be dressed up! Best part? This garment can be worn in all seasons - just throw a long sleeve underneath for the cooler months! Ready to get started?! Let’s do this! Oversized, airy, a combination of your favorite colors.. what’s there NOT to like?! 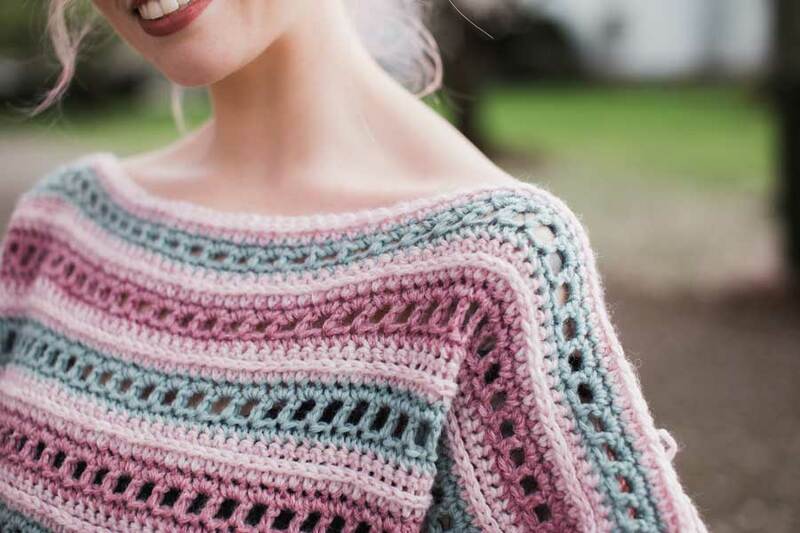 This fun and easy poncho crochet pattern is perfect for those Netflix and Crochet nights. Filled with a simple and repetitive repeat, Serendipity will for sure be your favorite mindless make! The design is meant to be textured, interesting and feminine - perfect for spring! 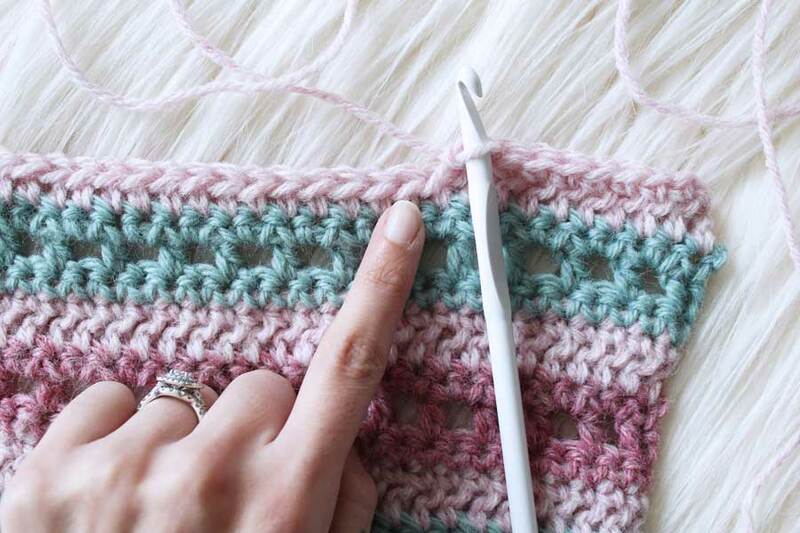 **If your swatch does not match this, you will want to use a different size hook. 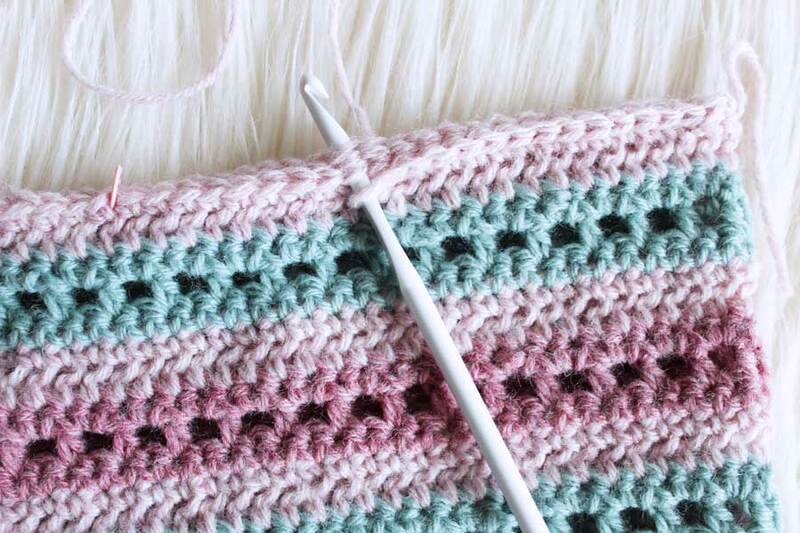 Use a smaller size hook if your swatch is bigger than mine or a larger hook if your swatch is smaller than mine. 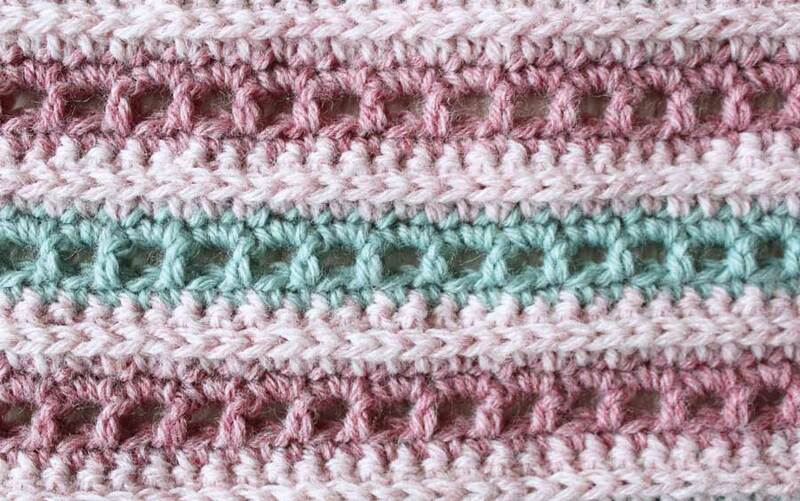 Chain stitch counts as a stitch throughout this pattern, excluding the chain at the beginning of each row. Pattern sizes are noted as (Serendipity/Serendipity Plus), ex (91/97). Using Color A, CH 92/98. Repeat Steps 3-13 for a total of 6 sets (one set is one full repeat of Steps 3-13). Finish off, weave in ends. ‍When working with Color A, HDC across for the first row. 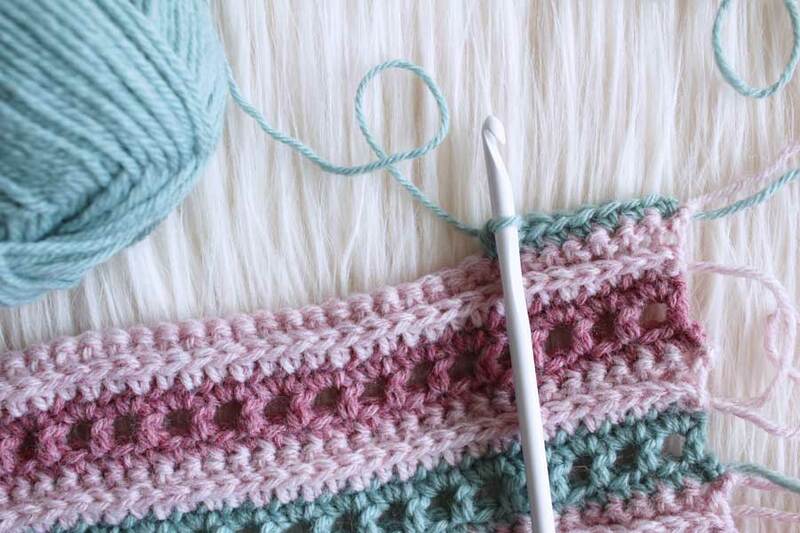 ‍For the second row of Color A, work the HDC in the third loop. Notice the loop where I am pointing, this is the third loop from our previous HDC row. Place your second row HDC in this space. 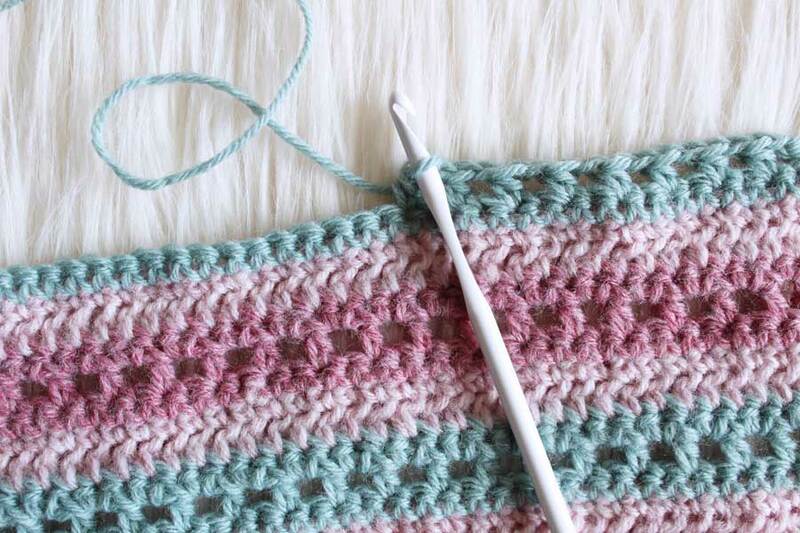 ‍When working with Color B or C, single crochet for the first row. ‍For the second row, we will be (HDC, CH 1, sk 1) Repeat ( ) across. ‍For the third row, we will be SC across, placing two SC per CH sp, and remembering to SC in the last st. Note: When assembling our panels, we will be seaming along the side, as well as two sections on top to create the corners. Lay your panels on top of one another, with textured sides together, WS facing out. 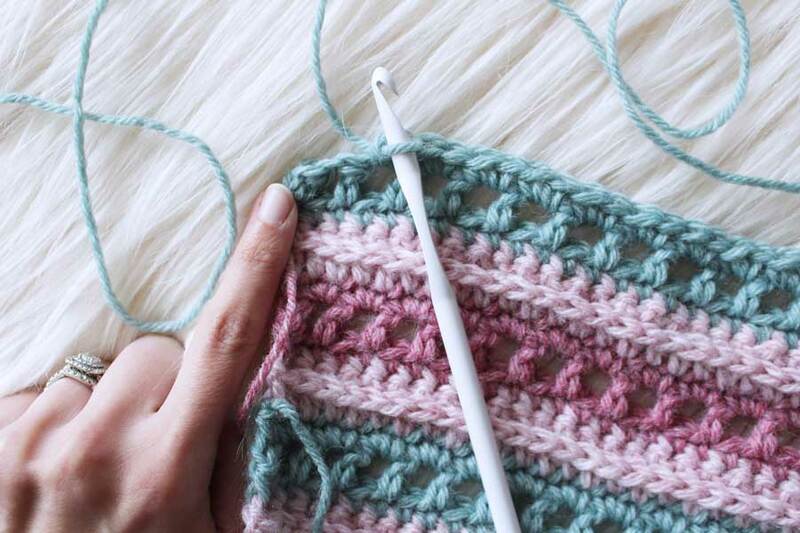 Place stitch markers, connecting both panels, on top corners. Place additional stitch markers 25 sts inward from each corner. This will be the top shoulder sections of the poncho. Repeat Step 2 for other shoulder section. Place stitch markers, connecting both panels, on the side of the poncho. Leave a 8.5” opening for the arms. Place second stitch marker approximately 6” down from the first stitch marker. Note: You may choose to seam up more, or less, depending on your preference. I preferred the long slit to allow more movement, but this is just a suggestion. 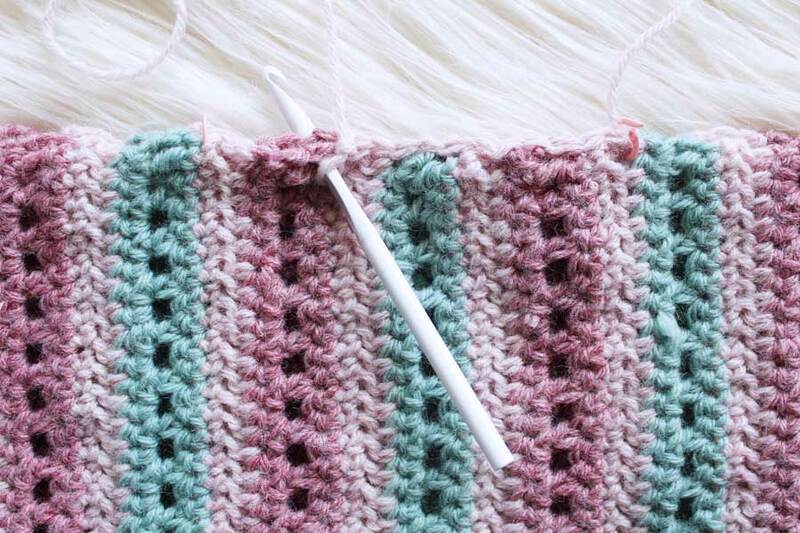 Using Color A, attach yarn to first stitch marker space. CH 1. Sl St to other stitch marker space, creating the side seam. Repeat Step 5 for other side seam. Finish off, weave in ends. After laying both panels on top of one another with WS facing out, place stitch marker in top corners, through both panels. Place a second stitch marker 25 stitches inward. Repeat for other side to create other shoulder. 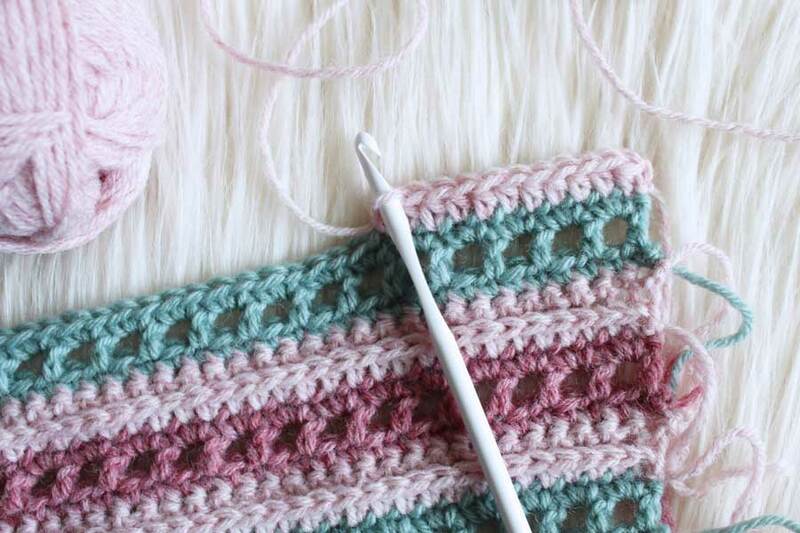 Using Color A, Sl St to corner stitch marker space. CH 1. Sl St across to second stitch marker. Finish off, weave in ends. Starting 8.5” below shoulder, place your stitch marker. Place second stitch marker 5” further down from first stitch marker. Using Color A, Sl St to first stitch marker sp. CH 1. Sl St across to second stitch marker. Finish off, weave in ends. Place your poncho on a dress form, chair or anything else that the poncho can lay properly. Follow the directions of your steamer to prevent any burns. Once your steamer is on and ready to be used, slowly move the steamer up and down the fabric to loosen the fibers. Repeat on the second panel. Don’t forget to steam the shoulders and bottom corners! Once steaming is complete, allow your poncho to dry fully, then wear that beauty every single day! ‍This is what the RS should look like once complete. And that's it!! 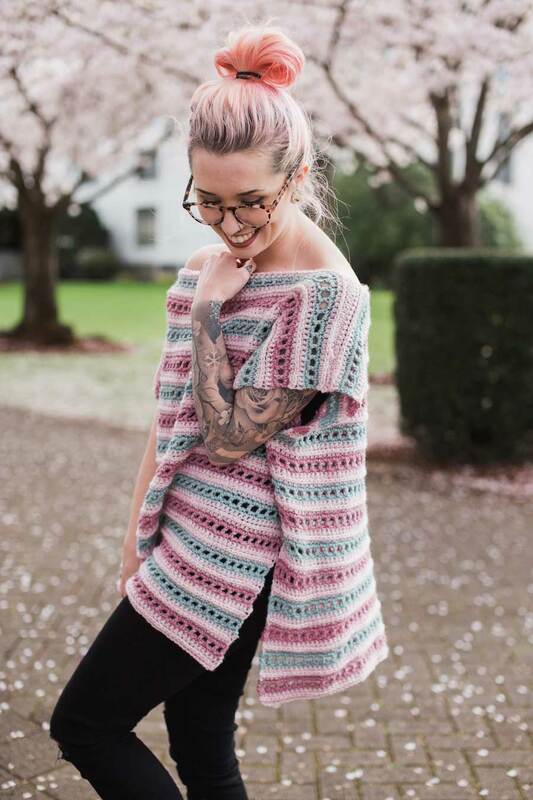 Such a beautiful and feminine addition to any wardrobe, and most definitely a fun project. 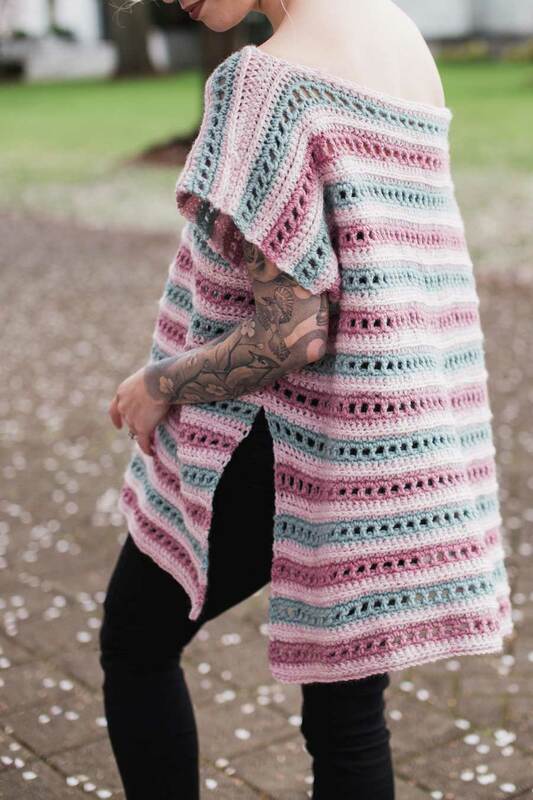 I hope you enjoy making your own Serendipity Poncho - I sure did! 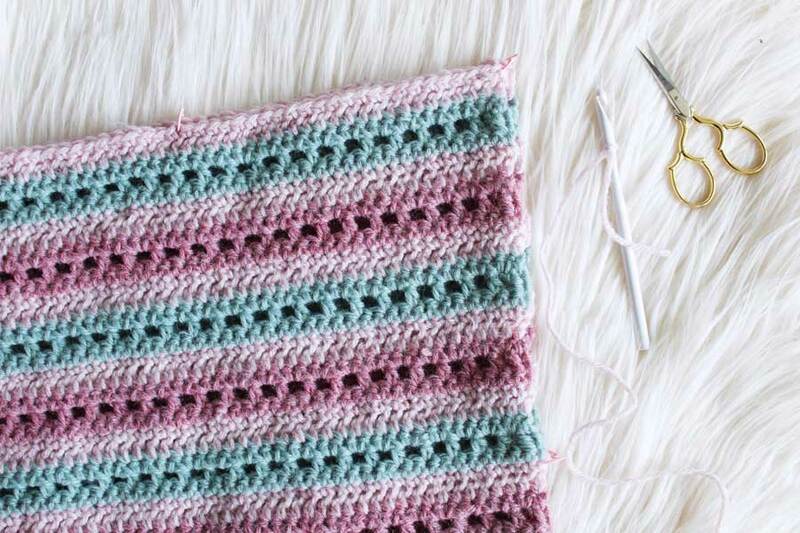 Be sure to post your progress shots and finished photos online and use hashtags #handmadewithjoann and #thehooknookers so we can all see yours!